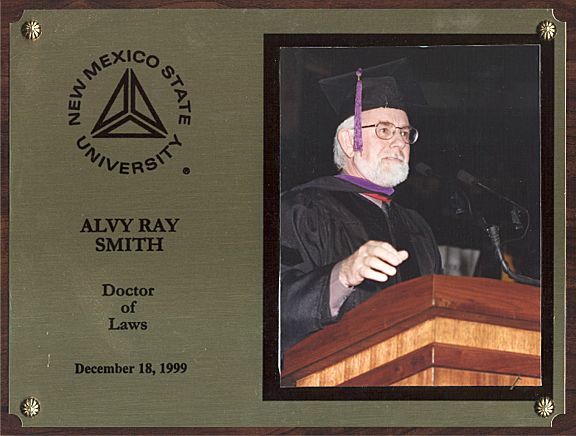 On 18 Dec 1999, New Mexico State University (NMSU) granted me an honorary doctorate, Doctor of Laws Honoris Causa. I attended undergraduate school at NMSU 1961-1964, majored in Electrical Engineering (Computer Science didn't yet exist) and worked in its Physical Sciences Laboratory (PSL), designing and tuning satellite tracking antennas. I did my first computer graphic image, an equiangular spiral (for an antenna), at PSL in 1968. 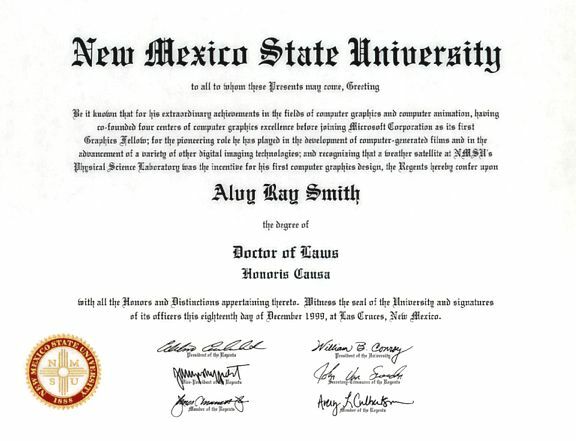 The ceremony took place in Las Cruces, NM, home of NMSU. The diploma is below (and its text).